ASU Members deliver the services Australians rely on every day. And the union, with active delegates and OH&S Reps, provides workplace information and individual support to members. 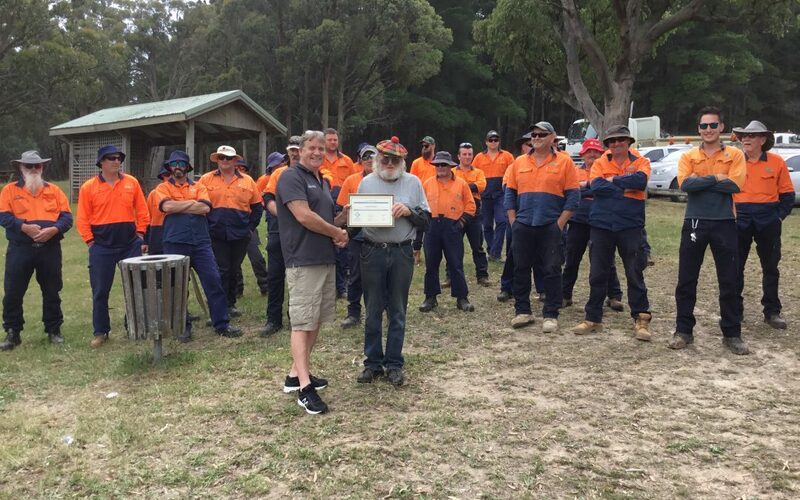 In recognition of his long commitment to the union and the welfare of his workmates, George Rogers was recently presented with Life Membership of the ASU. George’s commitment included close to 30 years as a very active delegate where he was involved in every EBA and worked for the benefit of ASU members. As if almost 30 years as a delegate wasn’t enough, George also served as an OH&S delegate for 7 years. The Life Membership presentation was made by ASU Organiser Martin McDonald and George’s workmates and family were on hand to recognise his long commitment to the union. This outstanding contribution to the welfare of working people in Moorabool Shire deserves recognition and thanks. So thank you George for your commitment to the cause and your work representing ASU members.